In 1999, Schaaf was joined by Monica Thorp as a Consultant Editor. From 2000-2003 the main staff consisted of Dr Kelley Wilder, Assistant Editor; Jeanette Fenyo, Administrative & Editorial Assistant; Graeme Cannon, Computing Officer; and Monica Thorp, Consultant Editor. This period signalled the accomplishment of the main AHRB-funded project. During 2003-2004, Dr Georgia Toutziari served as Assistant Editor & Project Administrator and Graeme Cannon continued as Computing Officer; valuable contributions were made by interns Niels Henriksen and Cristina Johnston. Website: Helen MacDonald, Jennifer Tracey. In 2006, the project was transferred to Knowledge Media Design, De Montfort University, where the code was revised by David Gerrard. It is maintained by Professor Stephen Brown. Dr Margaret F MacDonald, Principal Research Fellow, Centre for Whistler Studies, University of Glasgow. The Centre is preparing an electronic edition of the 10,000 letters that comprise the Whistler correspondence - see http://www.whistler.arts.gla.ac.uk/. Dr MacDonald is an artist who has had a long involvement with the University's significant collection of the photographs of D O Hill & Robert Adamson. Professor Graham Smith, Head of the School of Art History, University of St Andrews; editor of the international journal History of Photography. 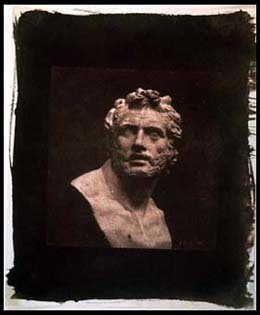 Professor Smith is an authority on Italian art and on the early history of photography in Italy. ITALIAN: Professor Alberto Meschiari, Philosophy and Letters, Scuola Normale Superiore di Pisa. Prof Meschiari is a member of the Editorial Board of the Fondazione Giorgio Ronchi in Florence and is a member of the Societ� Italiana di Storia della Scienza and the Societ� Italiana degli Storici della Fisica e dell�Astronomia. He has published extensively on the history of science and was recently appointed head of the project for the correspondence and works of Giovanni Battista Amici (1786-1863). For further details, see website. LACOCK: Roger C Watson, Collections Cataloguer, Fox Talbot Museum, Lacock, England. 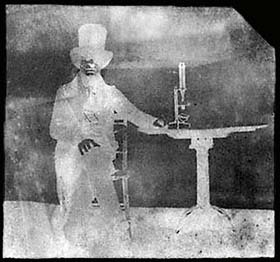 Formerly of the George Eastman House, Rochester, Mr Watson has diverse experience as a photographic conservator; database designer, lecturer and expert on daguerreotypy. 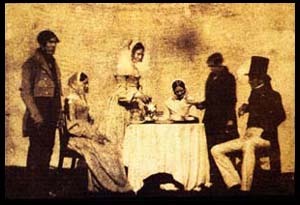 He is presently preparing for The National Trust an item-level catalogue of the Talbot family's generous deposit at the Fox Talbot Museum. PHYSICS: Dr Norman MacDonald, former Head of Nuclear Structure Theory Group at Glasgow University and an authority on biomathematics and the theory of systems with delay; author of Trees and Networks and Biological Delay Systems and a contributor to the Scottish Society for the History of Photography. The Advisory Board assists in evaluating standards and working procedures for the project and helps to monitor the project's progress. Individual members also contribute specific technical and scholarly experience and assist in contacting certain collections. Professor Martin Kemp, History of Art Department, Oxford University; a noted authority on the influence of science on art, an area of study especially relevant to Talbot's career. Professor Kemp has been an advisor on electronic editions and has published extensively in the history of photography. CUNEIFORM: Professor Kevin James Cathcart, Campion Hall, University of Oxford; Professor Emeritus and former Head of Department, Near Eastern Languages, University College, Dublin. Dr Cathcart has a Doctorate in Near Eastern Languages from the Pontifical Biblical Institute in Rome. He is a Member of the Royal Irish Academy and the Royal Danish Academy of Sciences and Letters. His numerous publications include The Edward Hincks Bicentenary Lectures.